Settings: Printed on a Replicator 2 with .3mm/low resolution, and it looks great. Technical notes, humble flavor: I was going to post here about the new 3D Vector OpenSCAD Library and how it is used in this model. 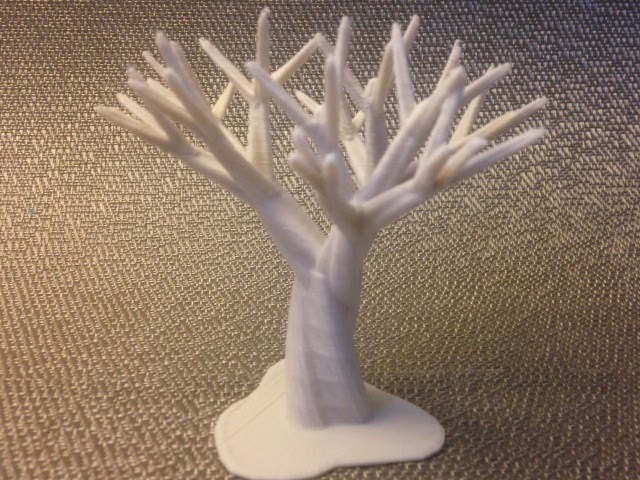 Since the Customizable Tree is available in the Thingiverse Customizer, you can look at its OpenSCAD code; I hoped to pick it apart and tell you all how it works. Being a math prof I figured vectors are right up my alley and that I would have a lot to say about this. However it turns out that I am not yet smart enough to figure out what is going on in the Customizable Tree code. It looks like I have a lot of OpenSCAD-studying to do this summer. Kudos to the real makers out there who actually know what they are doing!